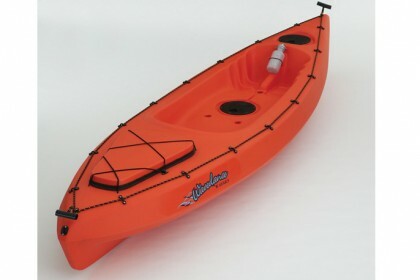 The Alpine is a stable, versatile and user friendly kayak that will meet the needs of most paddlers. 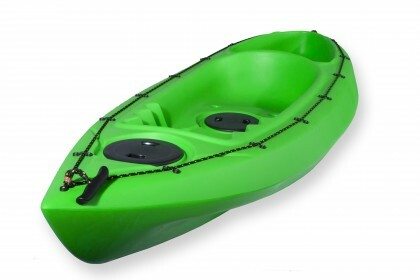 Our price pointed kayak is eye catching in design and looks, equipped with an oversized thread centre hatch cover to store small items. 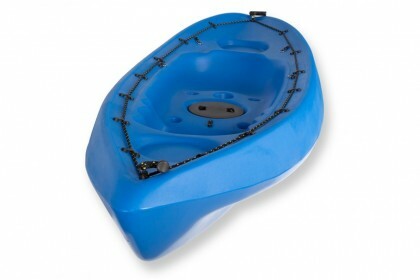 A single that meets most people’s paddling and stowage needs while being light enough even for children to handle. Impressive weight capacity for size: the Echo can carry a paddler and dive or fishing gear – or an adult and small child – up to a combined total of 120 kg without affecting buoyancy or steering performance. 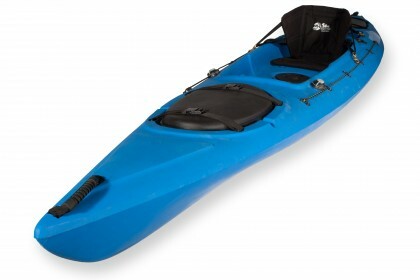 The SIERRA from Wavedance is modelled on their ENCORE, with the large rear hatch of the ENCORE being replaced by a large well moulded into the deck between the back of the seat and the stern of the kayak. With the same overall dimensions and load capacity as the Echo - and the same manoeuvrability. At just 17 kilos, the Encore is especially easy to carry and transport. 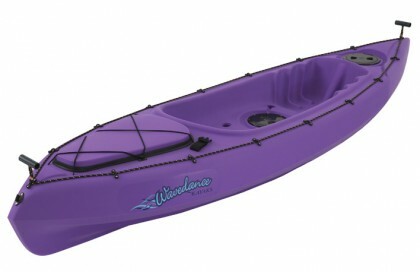 This Wavedance kayak is perfect for an expedition. Greater cockpit area as well as easy-access front and central hatches with quarter-turn covers. The Kingfisher combines the advantages of a sit-on-top with the efficiency of a traditional sea kayak the new single can be used in flat water, moderate ocean conditions and slow flowing rivers. All aboard! 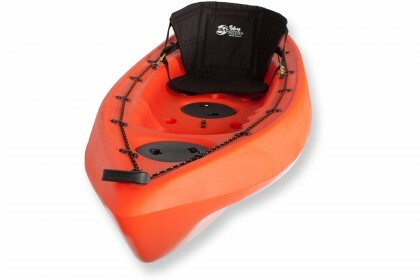 The Capri allows for differences in size, weight, paddling skill and even the number of users. Seating options include a regular-size cockpit up front, a roomier second cockpit, and, right at the back, a child's seat that doubles as a cargo hold. 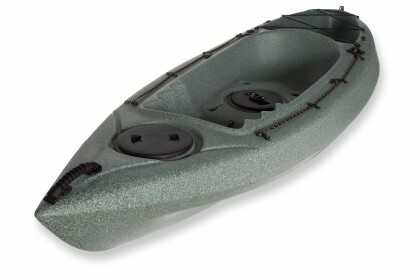 The Extreme Hunter is 3 meters in length and only weighs 19kg, this kayak will take you and all your gear wherever you need to go to catch the best fish!! 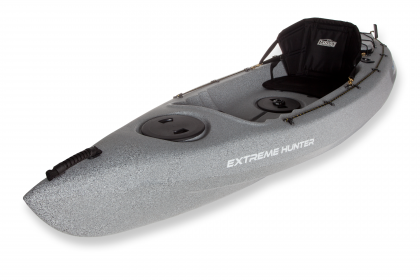 The Extreme Hunter is slightly wider than most Wavedance kayaks and is equipped with stabilising shoulders which make it very easy to fish from no matter if you are a first time kayak fisher or an expert. 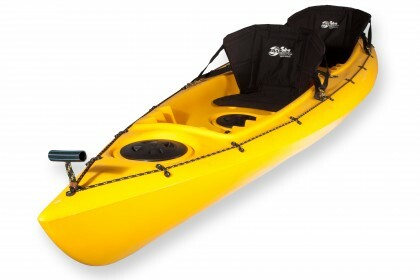 This versatile 2.7 metre fishing kayak designed to be paddled down your favourite river or large lake. This kayak is extremely stable, light weight and easy to manoeuvre in and out of tight spots so that you can fish where boats can't.